American music sensation Lavaado is heading to the Philippines, and he’ll be appearing for performances, workshops, and meet & greets. From April 16-23, the artist is taking his Switch It Up tour across various cities in the country. 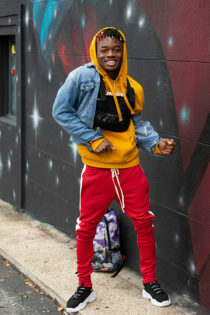 The 17-year-old social media star, dancer, and rapper is looking to follow the footsteps of Soulja Boy and iHeartMemphis. In addition, Lavaado’s a stylish young teenager who’s into basketball, dance, trap, Hip Hop and rap music. His hit song “Switch It Up” swept over the nation when dance video challenges created by Mastermind (33 million views) and Ranz Kyle & Niana (16 million views) went viral online. The teen star has an impressive online presence: 23 Million YouTube views, 5.8 million Spotify streams, 312,000 YouTube subscribers and 281,000 Instagram followers. Moreover, his recent collaboration with AC Bonifacio on their hit song “In and Out” drew over half a million views. Lavaado also did a “Switch It Down” remix with Ji Ar, garnering another 1.4 million YouTube views. 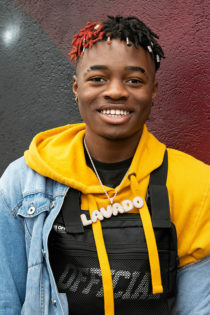 In addition to his online videos, Lavaado has since been featured on a Foot Locker ad campaign, been appointed as a brand ambassador for Puma and had his music licensed to America’s Got Talent. The Switch It Up tour includes a special dance workshop/show on April 21. Follow MAS Presents on Facebook for more details on the tour.